Harare - Africa "completely and absolutely adores President Robert Mugabe", that is why he has been elected head of the African Union, his Zanu-PF party said on Sunday. "His universal endorsement by the African leadership is ample evidence that despite the West's negative view of President Robert Mugabe, Africa completely and absolutely adores him and will forever cherish his heroic deeds," party spokesperson Simon Khaya Moyo wrote in a letter to the state media. Moyo is a former Zimbabwean ambassador to South Africa. 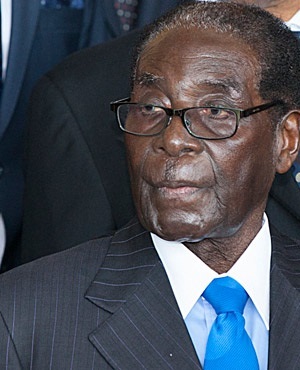 Mugabe, who turns 91 this month, was elected head of the AU at its summit in Addis Ababa on Friday. His party viewed this as a victory over critics at home and abroad who said the long time Zimbabwean leader's dubious rights and election record should not have been overlooked. The Sunday Mail reported that Africa had got "what it has been crying for" by appointing Mugabe, while Foreign Minister Simbarashe Mumbengegwi said Mugabe had "rubbed shoulders with the founding fathers" of Africa like Ghana's first leader Kwame Nkrumah. Mugabe has been in power since 1980. In 2008 he was forced by the Southern African Development Community into a coalition government after militias and loyalists killed up to 200 opposition supporters when Mugabe lost the first round of presidential elections. The coalition lasted until 2013, when Mugabe won elections.